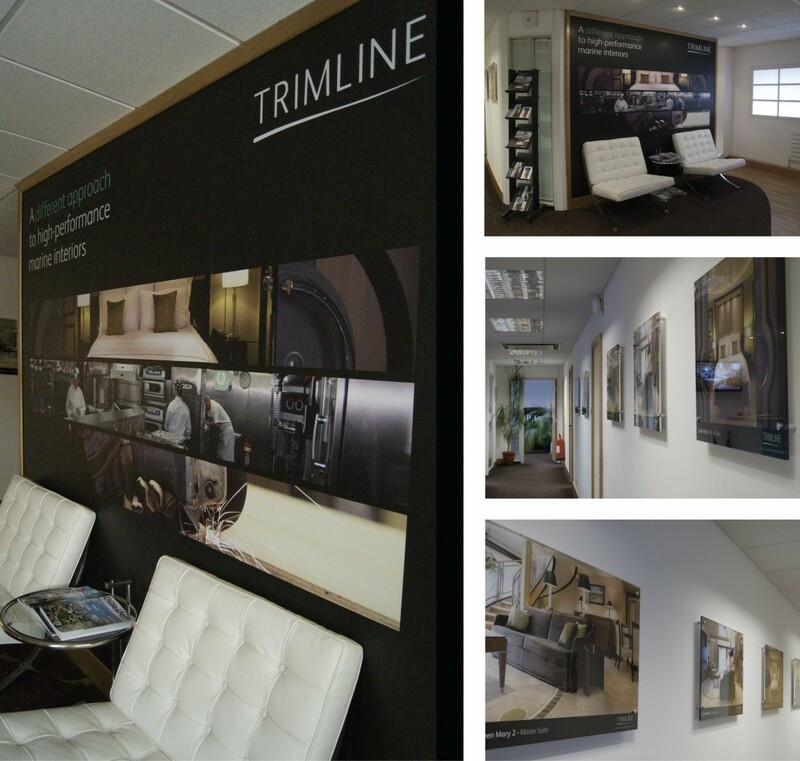 Trimline approached Lime Signs in early 2013 to undertake their re-branding requirements in Southampton. We worked closely with the business owners to ensure that the new identity was effectively represented and the highest quality materials have been used to reflect the prestigious nature of Trimline and its clients. We installed three large format internally illuminated signtrays to the first floor elevations of the main building, along with various CAD vinyl window graphics, ground level signs, bespoke internal wall signs and graphics and a complete resigning of their vehicle fleet. Lime Signs has regularly worked for Trimline since their re-brand on various projects, including the recent re-signing of the Isle Of Man ferries. Large format slimline aluminium signtrays with fret-cut detail and 'push-through' 3d acrylic letters - all backlit with LED's. Various external composite aluminium signage. Bespoke laser-cut and built-up stainless steel logo signage with 'HALO' LED illumination. Various internal acrylic signage, including laser-cut bespoke wall lettering.